I have really treasured these summer school holidays for a number of reasons. Number one being that Miss M is off to school very soon! So I've been wanting to make the most of this time with her (especially the days that Little Man is at Child Care and it's just the two of us). 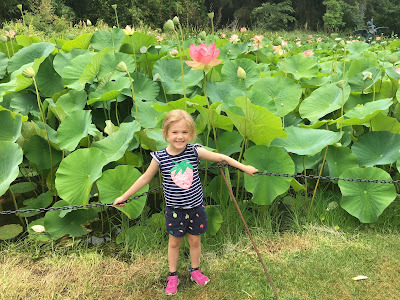 As always, I love to share these little snippets of our daily life and beautiful city here on the blog. We did so much and has a great variety of things to see and do over the five weeks (as well as Christmas and Little Man's birthday of course!). I seriously cannot believe we are nearly at the beginning of her school journey. She really is so excited and I'll be sure to share how it all goes over the next few weeks. 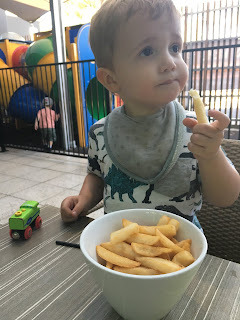 School also means that on the days I'm not working, I'll get some special time with the Little Man to take him to Kindergym, Play group, swimming and the Library. 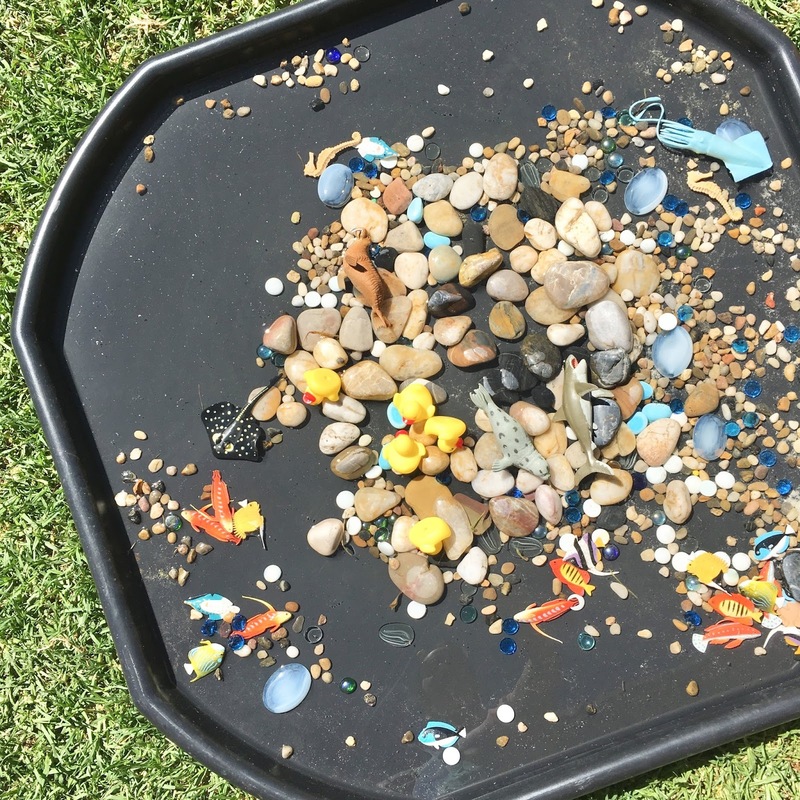 So here's just some of the summer holiday activities that we got up to! 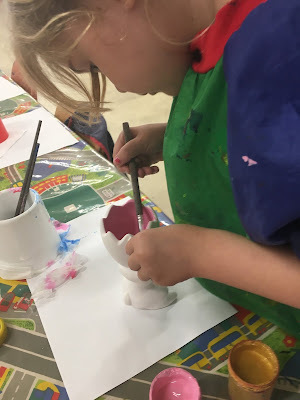 Earlier last year we got to experience a Little Picasso's Art class and absolutely loved it! So when I heard they were offering one off holiday classes, I jumped at the chance! We created this amazing gingerbread house. 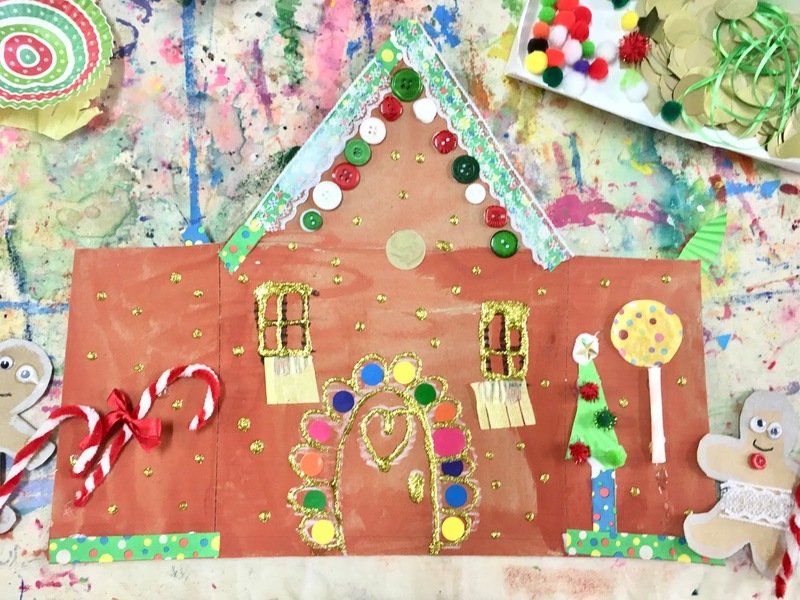 Each step was carefully prepared for the children, first the painting, then the gingerbread people (while the paint dried), followed by the door and windows and finally the decorations. 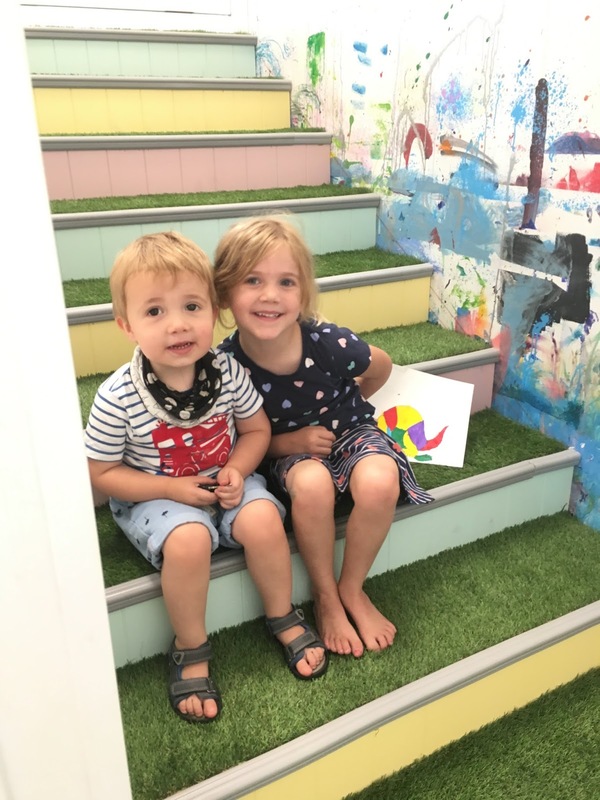 As I mentioned in my previous post, Little Picasso's classes are taught by a qualified art teacher specialist and are available for all ages at either their Glenelg or Hyde Park studios. I also have another exciting collaboration coming up with them very soon! I may have mentioned before that we often visit Civic Park because there is so much there, our local library and toy library, playground, Tea Tree Plaza right across the road. We love it! 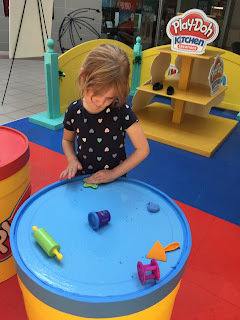 On this particular day after a play on the playground, we stopped at Tea Tree Plus for the Play Doh immersive zone and got to try the new Play Doh Plus which is like the most glorious combination of regular play doh and kinetic sand. It's seriously amazing! 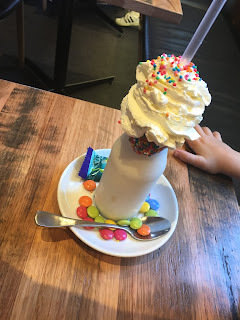 After that we had ourselves a little lunch date at The Pickled Duck where Miss M enjoyed a cool kid's freak shake! It's such a busy time of year to also throw in a birthday but we did it! 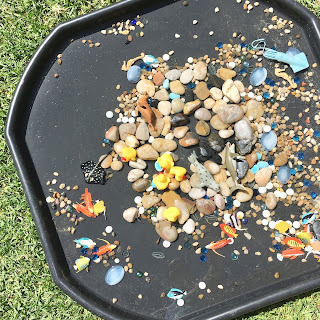 I was planning for a warm day so we decided on a "water play" themed 2nd birthday party for the little man, but of course you can never control the weather and it was about 20 degrees with a slight drizzle during the party - but that didn't stop the kids from getting wet and having fun. For his birthday dinner we all went to The Waterloo Station Hotel which has a kids outdoor playground as well as an indoor toy corner. 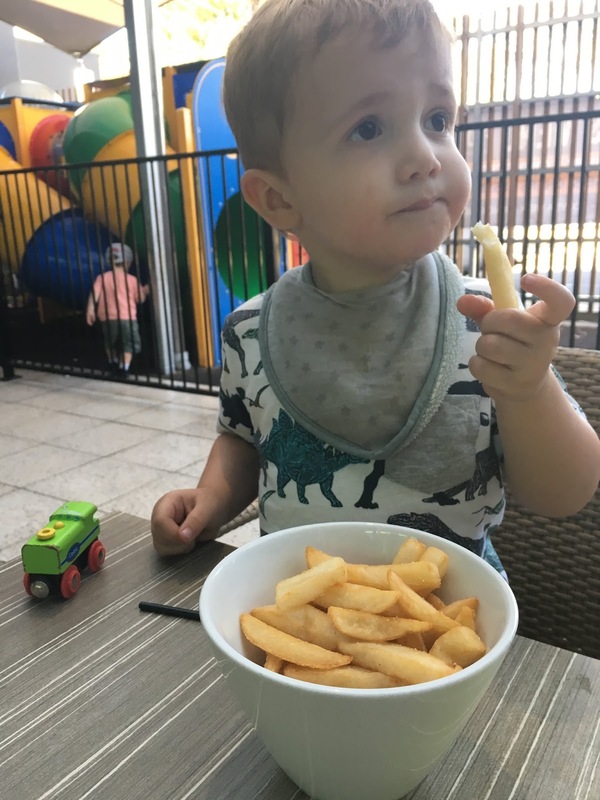 Hot chips for the birthday boy went down a treat! 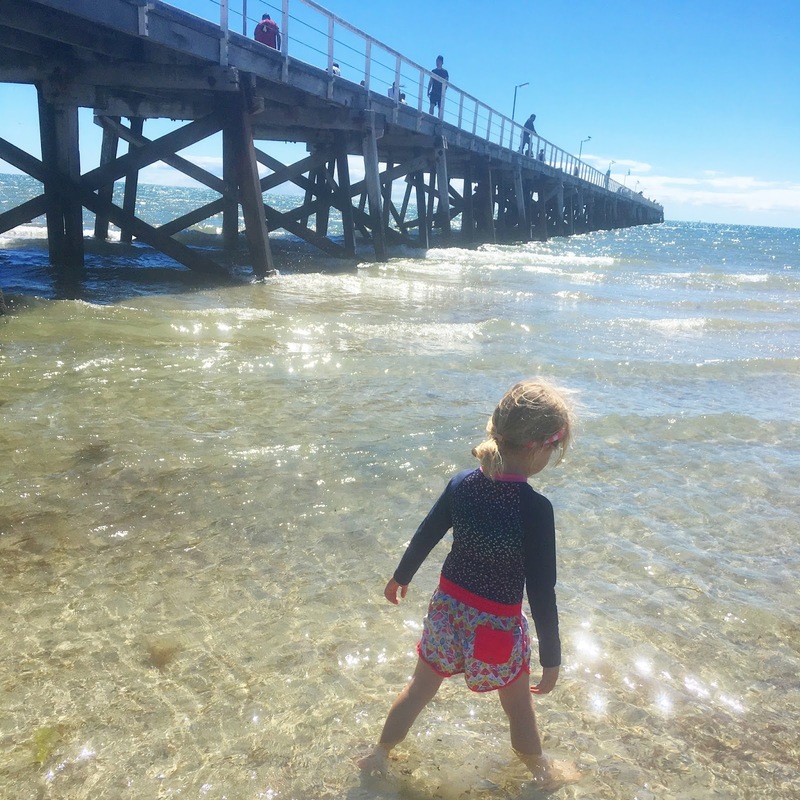 Semaphore would have to be our favourite beach in Adelaide and it was the perfect place to go for New Year's Eve. There was no way the kids would make it to the fireworks, but still had lots of fun on the rides and sideshow attractions at the summer carnival. Miss M is such a little mermaid - she loves to get in the water to swim any chance she gets. 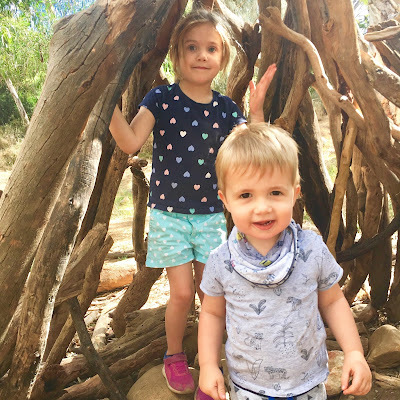 I took both of the kids to Morialta, beacuse I thought that now Little Man was a bit older and more confident that he'd be able to use more of the equipment there this time (we visited when it first opened in September last year). They had the best time! If you haven't been there yet I highly recommend it for 2+ years. One of my favourite days with Miss M was spent in the city together. We started off in the Botanic Gardens and loved exploring secret pathways and discovering interesting plants and living things. Next on the agenda was a visit to the Museum and fortunately they had some kid's painting activities set up out the front. Since she considers herself to be a little artist, we also popped into the Art Gallery (which is right next door). Again school holiday craft activities were set up for the kids in 'The Studio' area. Best of all entry to all three of these places was FREE so the only thing we had to pay for was our lunch! More art and craft fun was had at the Plaster Fun House in Salisbury. 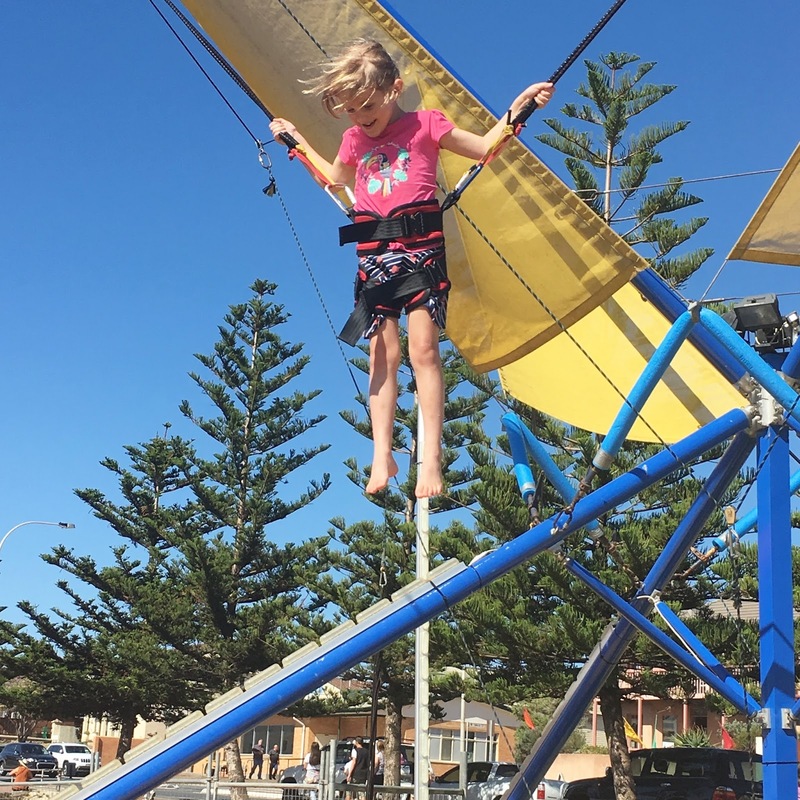 This is such a fun, easy and relatively affordable outing. Miss M took great care in choosing her sculptures and paint colours. As I said earlier, Semaphore is the beach we visit it the most because it's the closest to where we live. But there is a lot to be said for Henley! We were meeting some friends down there and Miss M had a fabulous time. She got completely drenched in the water feature, and the water fun continued in the fountains and down at the beach of course. We are definitely planning to go here more often! 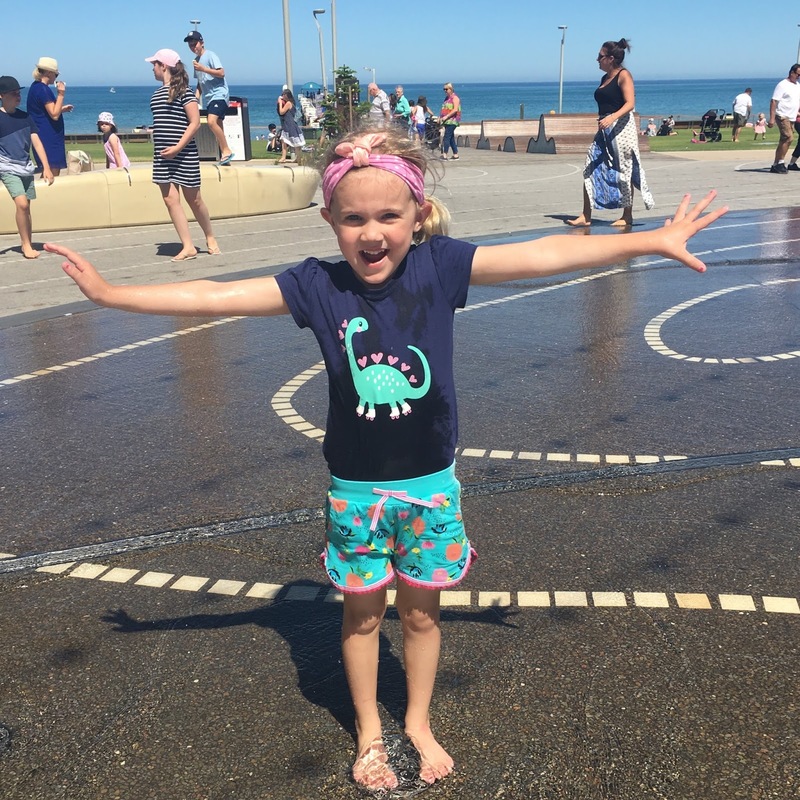 When I asked Miss M where she wanted to go for our last "girls day" together she chose Waterworld, at Tea Tree Gully. We went here a few times over the holidays and all had a really great time. The toddler area and medium pools are both shaded which is great. She even went down the waterslide! I really wanted to take both kids to Kid and Hub one last time before school started - it really is my favourite place for toddlers and preschoolers in all of Adelaide! 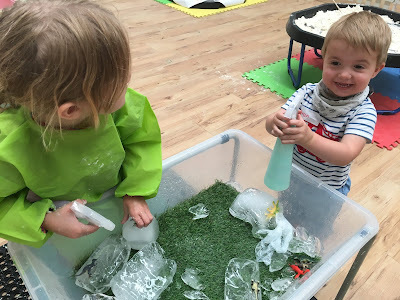 The kids enjoyed a 'Movers and Makers' class which included activities like dinosaur ice eggs (pictured), fossil excavating in cloud dough, dinosaur dirt small world play, oobleck, painting, dinosaur craft, a science experiment and so much more! 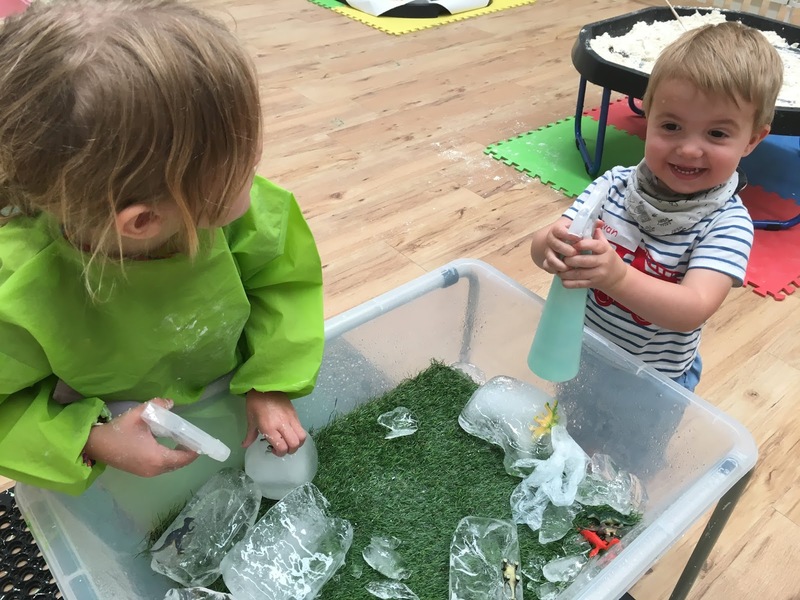 We were really impressed with the bigger play hub area and even better was the the kids had longer to play as part of their session. Thanks to Guilianna and Stacey for welcoming us back once again. I can't believe it's nearly Kid & Hub's first birthday!! I feel like we've really got to experience the best of what Adelaide has to offer for little people, and this wasn't even all of it! 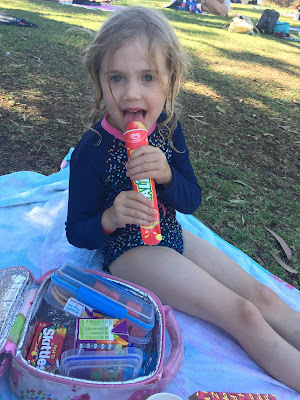 Miss M's Nanna took her to the zoo, we spent some time with family at Carrickalinga, we checked out Inflatable world at Salisbury and did lots of fun activities at home. School is the beginning of a whole new chapter and I can't wait to see how Miss M's story unfolds. Good luck to all of the little people about to start school!